Compassion positively correlates to happiness and increases in psychological capabilities, as supported by a substantial body of research. 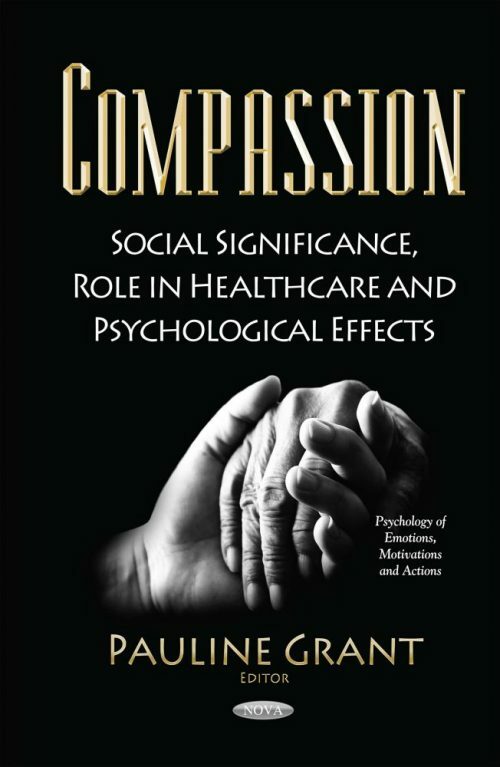 The concept of compassion has been used in a diversity of fields, applications and motivations. The first chapter of this book attempts to theoretically suggest how compassionate and self-compassionate interventions can benefit both the patients and health practitioners, by 1. Investigating the relevance/importance of considering different cultural backgrounds and 2. By introducing emergent findings on self-kindness and 3. By highlighting the significance of self-care. Authors’ of the other chapters examine pain, compassion and the importance of two-way motivational communication in the medical field between patient and physician and the positive correlation between compassion, and physiological and psychological health.